Welcome to Crown Dental, Serving Gaithersburg & Surrounding Communities! Dr. Chun and his team of dental professionals are dedicated to the oral health care of Gaithersburg and the surrounding communities. He knows that his work is making a positive difference in your lives and smiles by providing comprehensive and gentle dental care to patients of all ages. Healthy teeth are his passion. So whether you are looking for a routine dental exam or need a full mouth makeover, Dr. Chun is happy to help! We mean it when we say comprehensive! Dr. Chun has got you covered from dental implants and restorations to wisdom teeth extractions and everything in between. He is trained in Invisalign® braces to whip those annoyingly crooked teeth back in line. 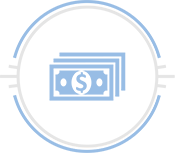 If your teeth are healthy we offer extensive preventive services to help keep them that way. If your teeth need restorative care, Dr. Chun has advanced knowledge in dental implants and implant restorations, oral surgery, dental crowns, and bridges. Regardless of your dental needs, you’re in good hands at Crown Dental. Crown Dental is open as early as 7am and as late as 7pm. The office is even open on Saturdays. No matter how jam-packed your schedule is, we will have an appointment slot for you. We accept all major insurance plans and offer an in-house payment plan to accommodate patients without dental insurance. 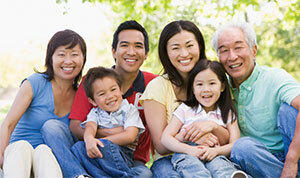 Dr. Chun does whatever it takes to give you and your family the personalized dental care that you deserve. Come by and see us. 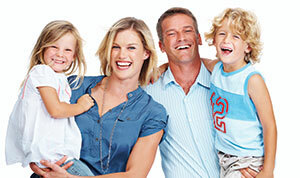 A lifetime of healthy and happy smiles awaits!